Automatic rental or inactivity fees and pro-rations -- No need to touch an account unless something changes. On-going cycle billing is automatic, whether billed in advance or in arrears! Billing methods – Daily, Weekly, 28-Day, Monthly, Per Service, and more! Automatic delivery and/or pickup charges, damage waivers, and more! Dispatching – Assign a driver yourself, or let the system decide for you! Paperless, mobile route management – From customer phone call to delivery to servicing to billing and receipt of payment – It can all be paperless! Summit was designed for the Roll-Off and Storage Container Industry but still has the capability to handle multiple product lines and multiple company divisions. 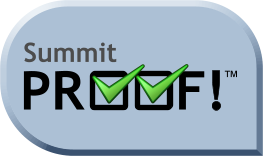 Whether a single user or a multi-branch operation, Summit will get you on top and keep you on top of your business. Take your roll-off or storage container business to a new level of efficiency with the Summit Rental System. The "Deluxe" edition is recommended to properly manage all aspects of the roll-off or storage container business. Billing methods: Daily, Weekly, 28-Day, Monthly, Per Service, and more! With Quickbooks, and programs that rely on QB, you have to touch each account every time you want to bill. Change the “bill from” date, the “bill to” date, the services performed, the extended amount, and any other direct changes required to reflect what transpired in “real life”. 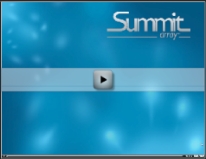 With Summit, you only touch an account when necessary to reflect changes. Set it up once, and forget it! On-going, cycle billing is automatic in Summit and includes all supplemental charges, pro-rations, sales tax; it’s done for you! Roll-Off Software, Rolloff Software, Container Software, Roll-Off Container Rental Software, Rolloff Container Rental Software, Storage Container Rental Software, Roll-Off Dumpster Software, Rolloff Dumpster Software, Roll-Off Billing Software, Rolloff Billing Software, Storage Container Billing Software, Equipment Rental Software, Equipment Rental Billing Software, Rental Software, Invoicing Software, Billing Software, Delivery Software, Route Management Software, Track Routes Software, Routing Software, Inventory Software.